The Ready for School (RFS) Fund was launched in 2002 to assist students from less privileged families in their educational pursuit. Assistance under the fund comprises the AMP Education Bursary, AMP-2ⁿᵈ Chance STEM Study Award, Learning Access Foundation ITE Award, Learning Access Foundation Hardship & Perseverance Award, RFS Youth Enrichment Series, and other socio-educational assistance. For more details on RFS, visit www.amp-rfs.sg. Find out how you can contribute to RFS here. The AMP Education Bursary offers monetary assistance to diploma and degree students from less privileged families of all races. 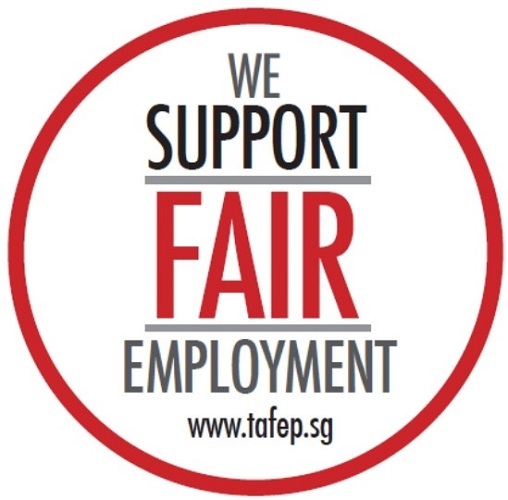 Apart from students from local polytechnics and universities, the bursary also benefits full-time and part-time undergraduates from recognised private education institutions in Singapore. The bursary seeks to recognise the recipients’ academic achievements, alleviate their financial load and be a source of motivation for them to strive harder in their higher education. It also hopes to see students through their pursuit of higher levels of education and in future, give back to those in need in the community. Each successful applicant will receive financial assistance of $1,000 (for Degree students) or $500 (for Diploma students). Application for the AMP Education Bursary 2019 is now closed. AMP started a collaboration with Second Chance Properties Ltd in 2017 to introduce the AMP-2ⁿᵈ Chance STEM Study Award to encourage Malay/Muslim students who are pursuing their undergraduate studies in science, technology, engineering and mathematics courses, and prepare them to be part of the STEM-related workforce in the future. Each successful applicant will be awarded $2,000 each. Application for the AMP-2ⁿᵈ Chance STEM Study Award 2019 is now closed. In collaboration with Community Foundation Singapore, AMP introduced two bursaries for full-time ITE and tertiary students from less privileged families who require financial assistance. Each successful applicant will be awarded $500 each. Students will receive in two tranches, after attending the compulsory personal development workshop and volunteer activity respectively. Bursary award has an in-principle approval for two years, subject to applicant’s submission of end-of-year results and successful promotion to the second or third year of study. This award supports full-time tertiary students who face sudden family crisis situations which may potentially derail their education pursuit, with interim financial assistance. Each successful applicant will be awarded $500 each. For more details on the application, visit www.amp-rfs.sg. Application period is applicable. Under the Fund, school-going children from less privileged households will be provided with socio-educational assistance in the forms of tuition and madrasah classes, school holiday enrichment programmes, transport concessions, as well as payment of examination, childcare, student care or preschool fees. Parents will also attend parenting workshops.